Remember that lidar is an active remote sensing system that records reflected or returned light energy. A discrete return lidar system, records the strongest reflections of light as discrete or individual points. Each point has an associated X, Y and Z value associated with it. 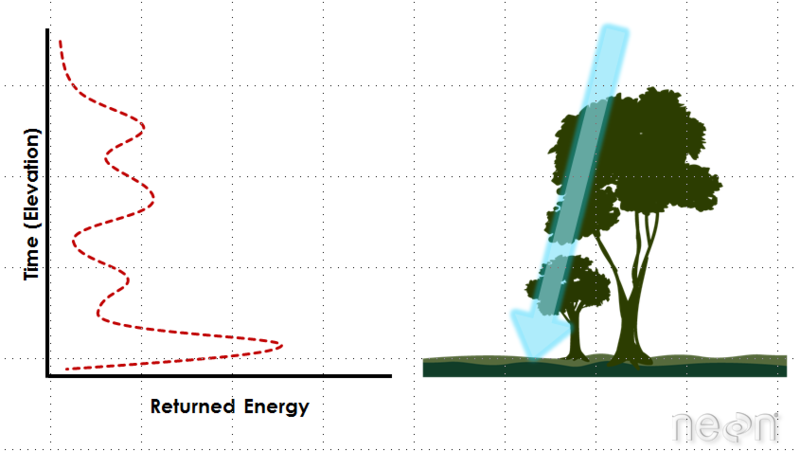 It also has an intensity which represents the amount of reflected light energy that returned to the sensor. Point clouds provide a lot of information, scientifically. However, they can be difficult to work with given the size of the data and tools that are available to handle large volumns of points. Lidar data products are often created and stored in a gridded or raster data format. The raster format can be easier for many people to work with and also is supported by many different commonly used software packages. 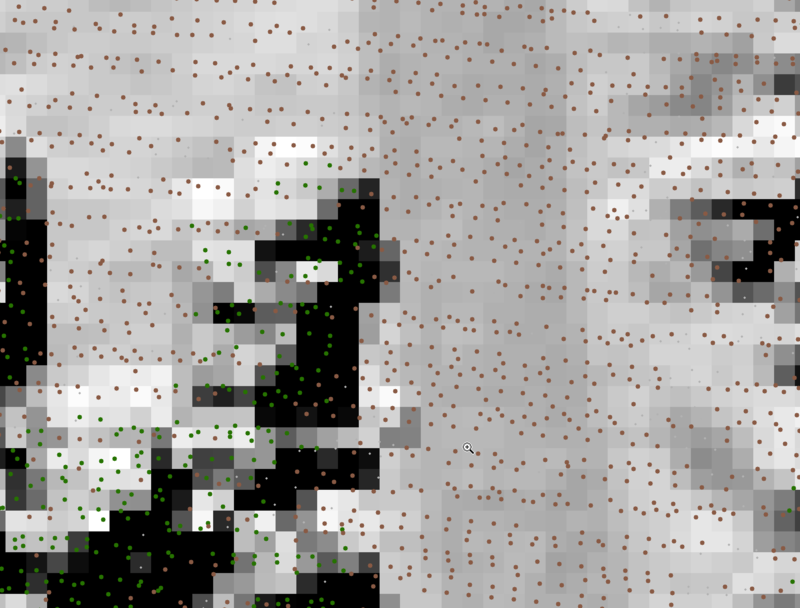 LEFT: Lidar data points overlayed on top of a hillshade which represents elevationin a graphical 3-dimensional view. RIGHT: If you zoom in on a portion of the data, you will see that the elevation data consists of cells or pixels and there are lidar data points that fall within most of the pixels. Each pixel represents an area on the ground. 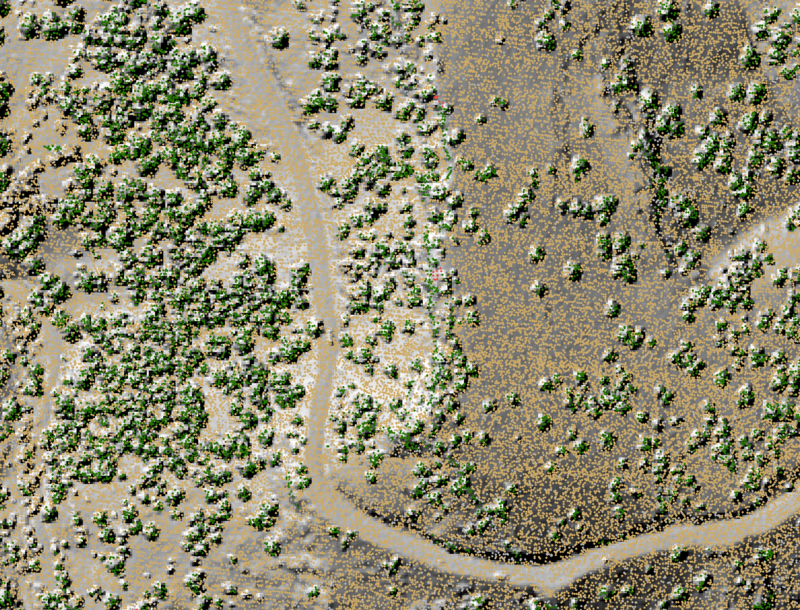 The resolution of the raster is the area that each pixel represents on the ground. 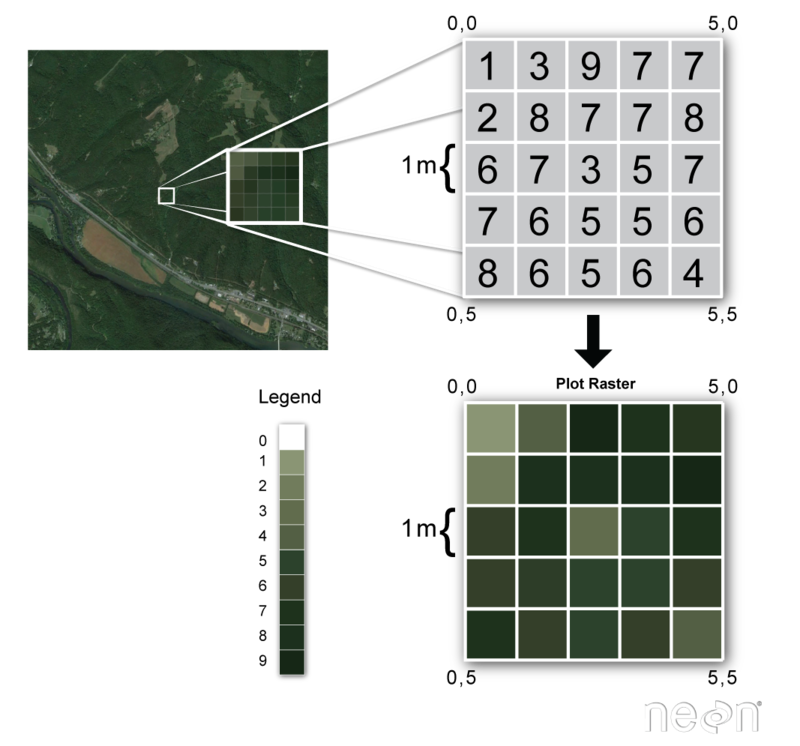 So a 1-meter resolution raster means that each pixel represents a 1m by 1m area on the ground. A grid is placed on top of the lidar data in geographic space. Each cell in the grid has the same spatial dimensions. These dimensions represent that particular area on the ground. If you want to derive a 1m resolution raster from the lidar data, you overlay a 1m by 1m grid over the lidar data points. Within each 1m x 1m cell, you calculate a value to be applied to that cell, using the lidar points found within that cell. The simplest method of doing this is to take the max, min or mean height value of all lidar points found within the 1m cell. If you use this approach, you might have cells in the raster that don’t contain any lidar points. These cells will have a “no data” value if you process your raster in this way. A different approach is to interpolate the value for each cell. Interpolation considers the values of points outside of the cell in addition to points within the cell to calculate a value. Interpolation also often uses statistical operations (math) to calculate the cell value. Interpolation is useful because it can provide us with some ability to predict or calculate cell values in areas where there are no data (or no points). And to quantify the error associated with those predictions which is useful to know, if you are doing research. You will not be talking about interpolation in today’s class. 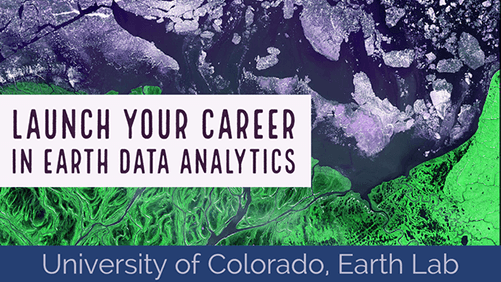 In the next lesson, you will learn how to open a lidar raster dataset in R.